Despite having grown up fishing, sailing, and spending my spare time playing on the James River, I don’t consider myself a water girl. Clearly, having mountains underfoot and snow underski is my preferred modus operandi. 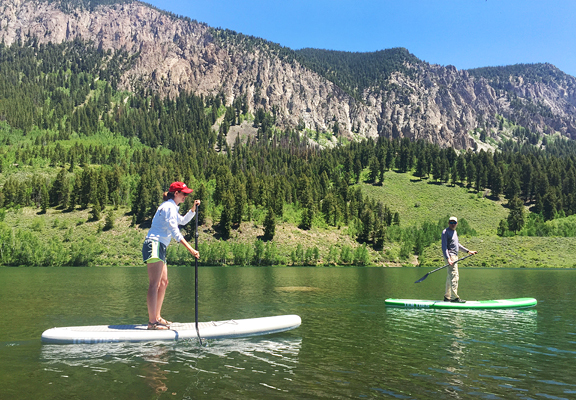 Lately however, I have returned to the water while remaining in the mountains, thanks to our standup paddle boards (SUPs). It’s possible to kayak some white-knuckle rapids in the area, but I’m not looking for new ways to kill myself. SUPing can be as mellow or as insane as you want, provided there is a body of water to serve your purpose. 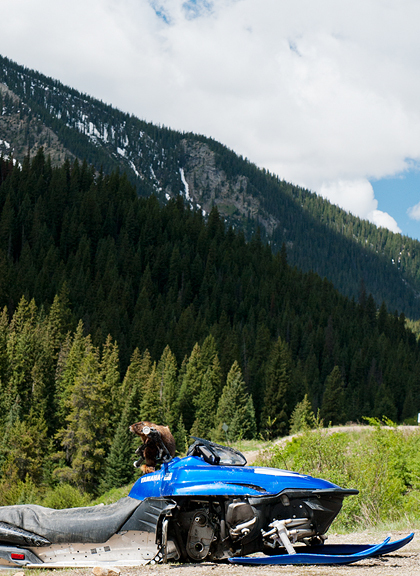 We like flat alpine lakes with fish safaris below and mountain views above. 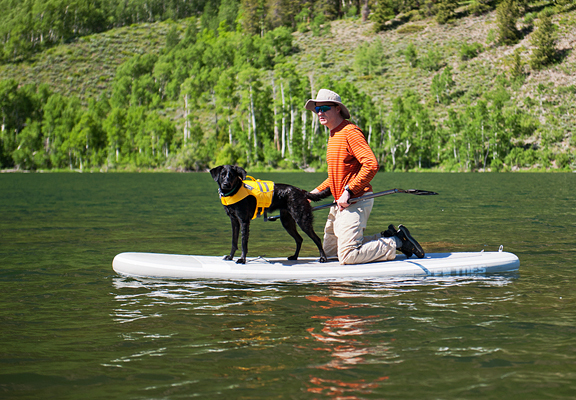 Even a small lake can pose risks, so we ordered Neva a personal flotation device (doggy life preserver) because she doesn’t have enough sense to stop swimming when she’s too tired. 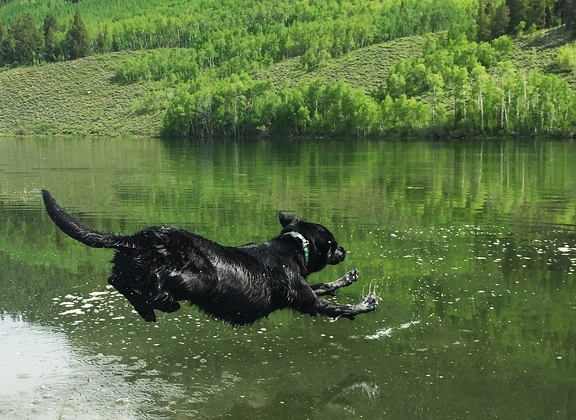 You can watch Neva’s running jump into the lake in slow motion on Instagram (click the link). Another risk is that water doesn’t mix well with most electronics, like my smartphone. The week before, Jeremy and I were paddling around to watch about twenty large carp chilling out among some downed logs. 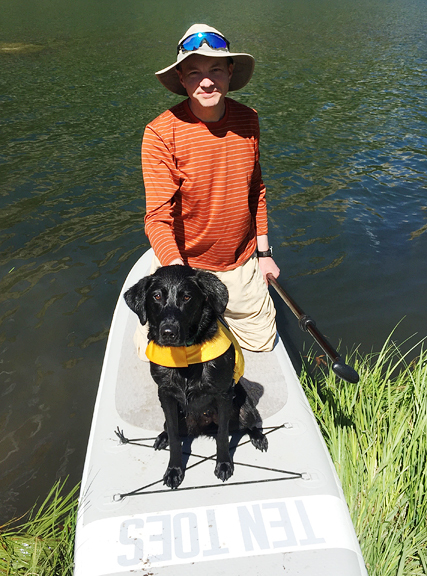 I always keep my phone in a ziploc bag in a waist pack or pocket, but this time… I was paddling forward to get a better shot of the fish and had zipped the phone into the pack without sealing it in the ziploc. Dumb, I know. Especially dumb because the next thing I knew I fell backwards off the board and *SPLOOSH* into the water. 48 hours in a bag of rice and then a day at the repair shop, I have a semi-working phone again. The touch screen is a little wonky which results in unintended actions – like calling random contacts, opening one app when I pressed another, or liking images when I was trying to navigate to my Instagram feed. This past week has been a little vacation away from my phone other than using the camera and I actually like it that way. 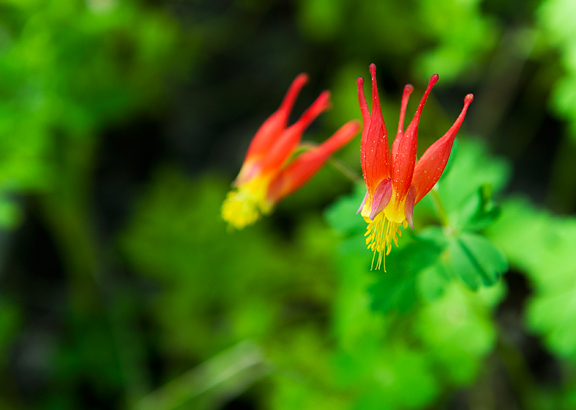 We’re taking a break from morels. I can’t tell you how many miles of trail I have scoured in search of morels the past three weeks. It isn’t so much the need to HAVE and EAT morels, because aside from a few big hauls, I have been leaving them in place where I find them. It’s my obsession with documenting where, how, and when they grow that drives me to study maps and satellite images and crawl through the forest at a snail’s pace. 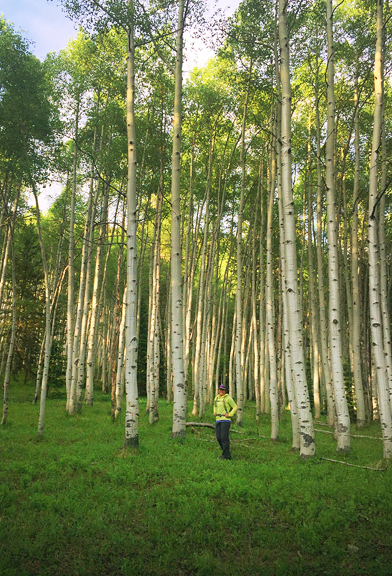 I finally drew the line last week because it was interfering with my trail running schedule. Besides, it’s going to be porcini season soon enough – and those are much easier to spot while trail running! Since Monday is the first day of summer and the weather over the southwest is set to BROIL, I decided fruity ice cream was the way to go. Also? 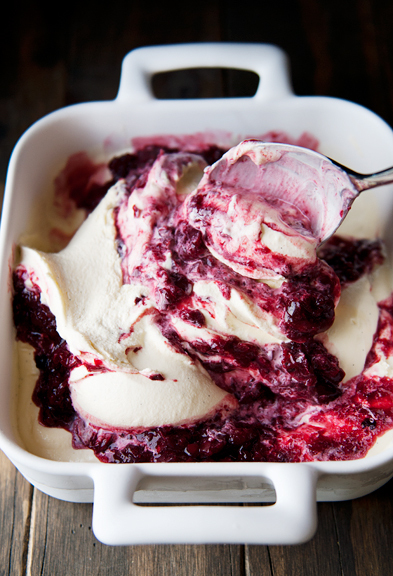 There is bourbon, and you really can’t argue with fruity bourbony ice cream. But if you do object to bourbon, it’s easy enough to just leave it out of the recipe. If you cringe at the thought of roasting anything in the summer heat, then it’s possible to pit the cherries and whir them up in a blender with the sugar and bourbon. Roasting does concentrate flavors and the caramelized sugar adds a nice dimension to the cherry swirl, too. Use a pan that is just big enough to fit all of the cherries in a single layer, because I used a much larger pan and the extra space results in burnt juices. 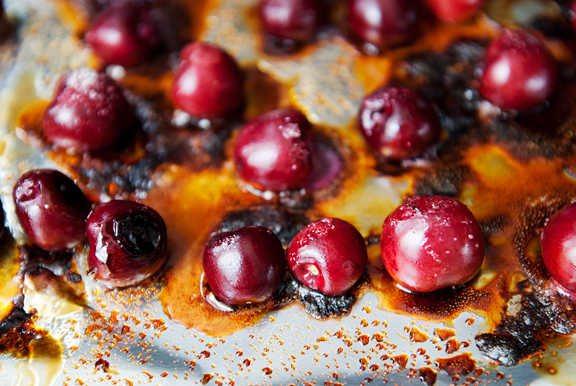 I wound up removing my cherries from the oven early to avoid further burning of said juices. I used my favorite vanilla ice cream recipe from David Lebovitz’ The Perfect Scoop as my base. It has a wonderfully smooth texture, richness, and flavor that pairs nicely with a lot of different ingredients. If you are tackling the recipe in one sitting, then I suggest roasting the cherries while the vanilla bean steeps in the hot milk. In summer, I tend to accumulate a lot of egg whites because I make a lot of ice cream. That’s better than having an excess of egg yolks, because you can freeze egg whites for up to a year. But if you’re looking for ways to use up those whites, you can make meringues, French macarons, coconut macaroons, buttercream frosting and chiffon cakes, or marshmallows, to name a few. Meringues and ice cream are a match made in heaven – sort of like reuniting the egg yolk and egg white in a most delicious manner. 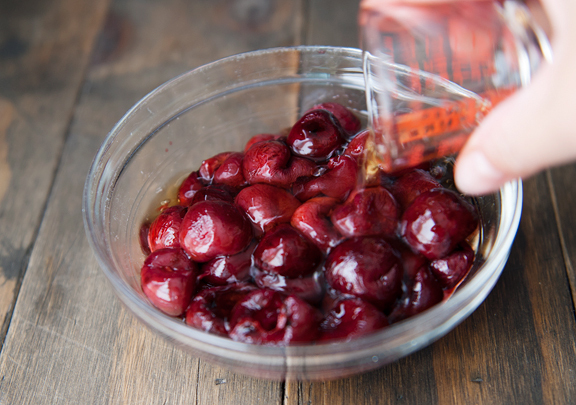 When the cherries have cooled enough that they are safe to handle, pop the pits out using your hands. It will be quite easy to do compared to normal cherry pitting because the cherry meat is soft from the roasting. Just be prepared to catch the precious juices in a bowl as you work. Also, your hands will look like fruity murder. 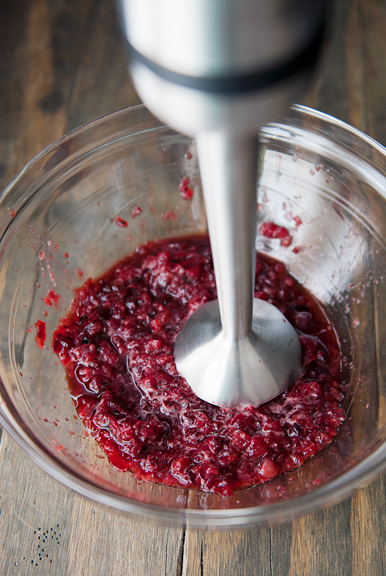 Add the bourbon to the cherries and blitz the mixture in a food processor or blender to your desired consistency. Maybe you like having chunks of fruit in your ice cream. Maybe you want a smooth purée. You decide. Taste the cherries – if they don’t taste sweet enough, add a little sugar. I let the cherry mixture and the custard base refrigerate overnight so they would be thoroughly chilled and to allow the flavors to deepen (keep that vanilla bean in the custard while you chill it). When you are ready to churn the ice cream, stir the bourbon and lemon juice into the custard, then pour it into your ice cream machine. 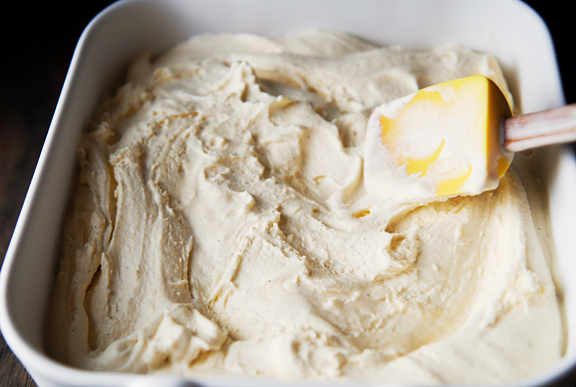 When the churned ice cream has the consistency of soft-serve, spread it into a container. Spoon the cherry mixture over the ice cream and fold it in a couple of times with big strokes. If you want the swirl, take care to not overmix the ice cream and the cherries. Freeze the ice cream until it is firm and ready to serve. I don’t know what it is about swirl ice creams, but I love them. I confess I am one of those people who likes it when the foods on my plate touch and intermingle. This ice cream is particularly refreshing right now. Maybe it’s the bright tartness of the cherries that interrupts the creamy smooth vanilla ice cream base and keeps you on your toes. Or perhaps the warm bourbon undertones that bring it all together? Whatever it is, it’s awfully good on a hot summer day. Make roasted cherry bourbon swirl: Preheat oven to 450°F. 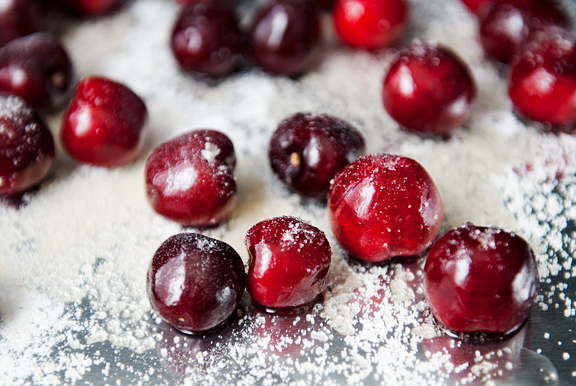 Place the cherries in a single layer in a baking dish or rimmed baking sheet lined with foil (for ease of cleanup). 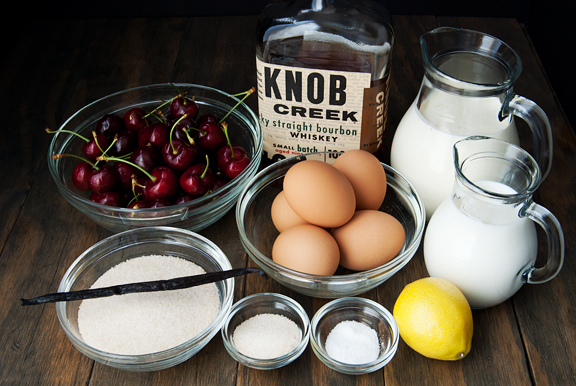 Sprinkle 1 tablespoon of sugar and 1 tablespoon of bourbon over the cherries. Roast for 15 minutes until the juice from the cherries is oozing, but not burning. The cherries should look prune-like. Remove from oven. 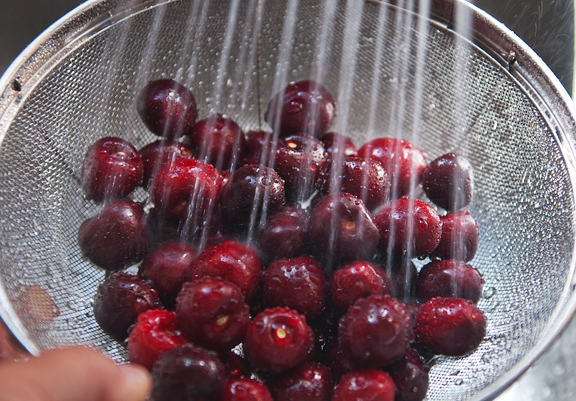 When the cherries have cooled, remove the pits by hand (this is easy) and be sure to catch any juices while working. Place the pitted cherries, juices, and remaining bourbon together in a blender or food processor and pulse to desired consistency. I liked mine chunky, but you might want yours smooth. Chill in a refrigerator. Make the ice cream: Combine the milk, 1 cup of heavy cream, 3/4 cup sugar, and salt in a medium saucepan over medium heat. Stir to dissolve the sugar. When the liquid is steaming, but not boiling, turn off the heat. 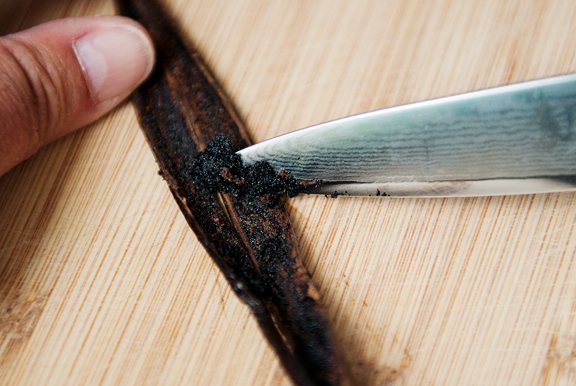 Scrape the vanilla seeds from the vanilla bean pod with the tip of a sharp knife. 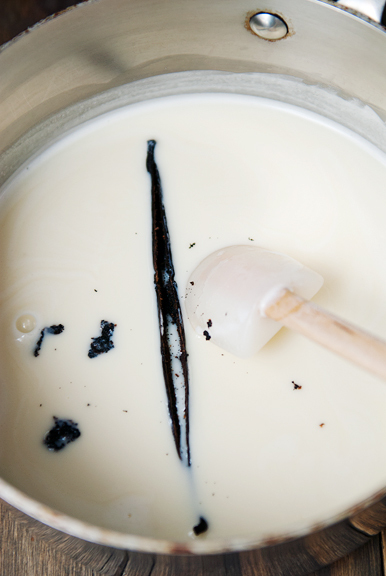 Add the vanilla seeds and pod to the hot milk mixture. Cover and let steep for 30 minutes. Remove the lid and reheat the liquid until it is steaming, but not boiling. Place the egg yolks in a medium bowl. 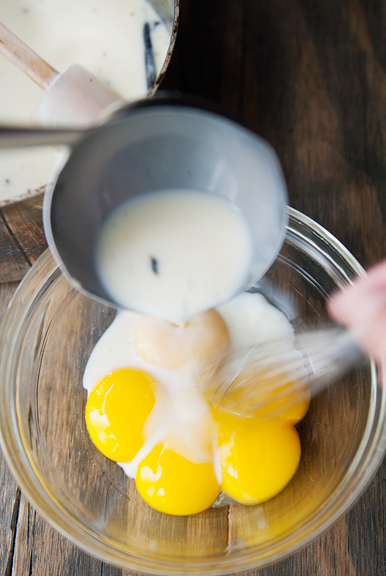 While whisking the egg yolks, slowly pour a half cup of the hot milk mixture into the yolks. 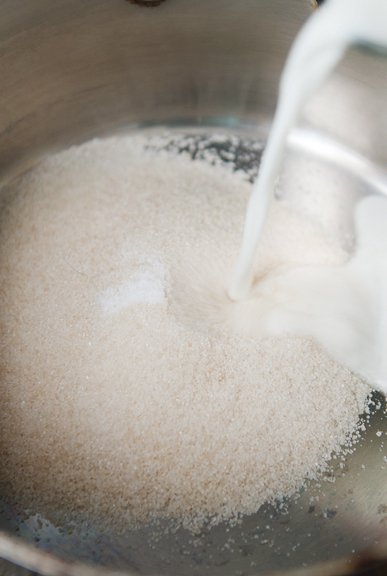 When the liquid is incorporated, whisk in another half cup of the hot milk mixture. 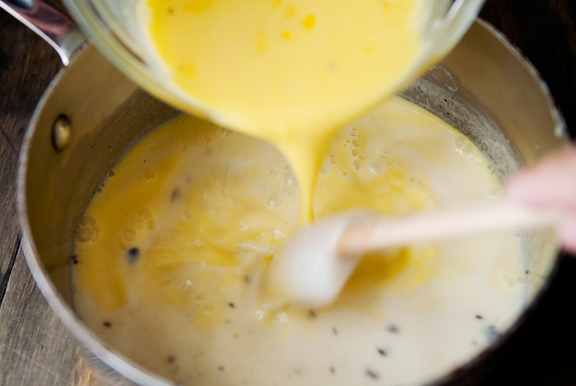 Pour the egg yolk mixture into the saucepan containing the rest of the milk mixture. 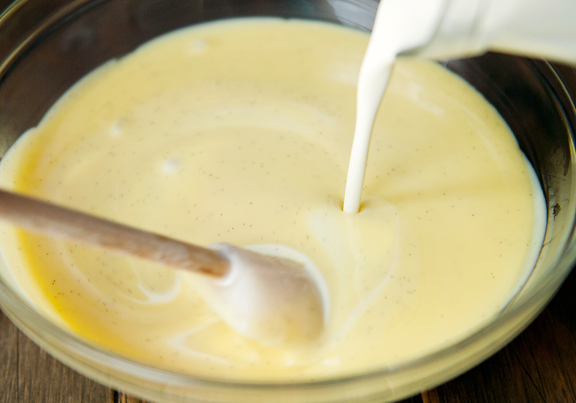 Set the pan over medium heat and stir constantly until the custard thickens enough to coat the back of a spoon. Remove the custard from the heat. Pour the custard through a fine-mesh sieve into a bowl to strain out any eggy bits. Stir in the remaining cup of heavy cream. 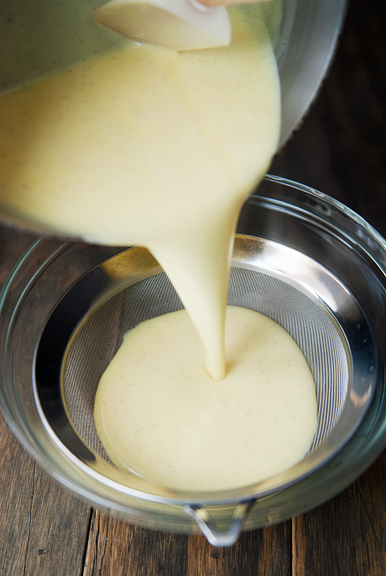 Place the vanilla bean pod in the custard. Chill the custard over an ice bath then refrigerate the custard covered until completely chilled (I let it chill overnight). 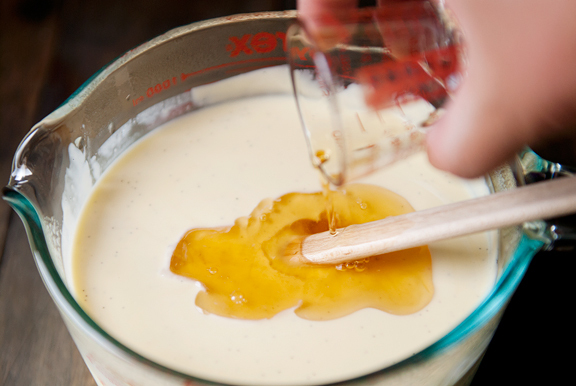 Stir the bourbon and lemon juice into the custard. Remove the vanilla bean pod. At this point, you can stir the chilled roasted cherry bourbon mixture into the custard for a uniform ice cream, or keep them separate for a swirl effect. Pour the custard into the bowl of your ice cream machine and churn according to the manufacturer’s instructions. Scoop the churned ice cream into a container. 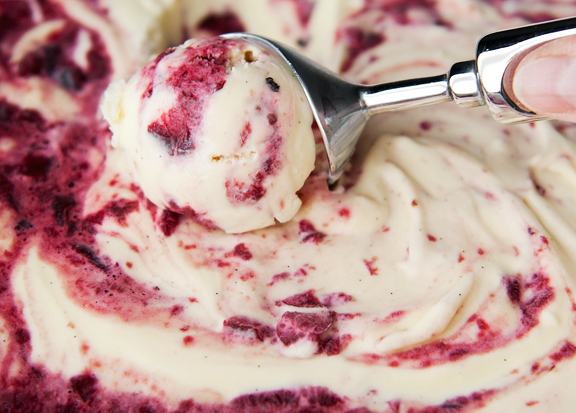 If making a swirl, spoon the cherry mixture over the ice cream and gently fold it into the ice cream a couple of times. If you mix it too much, you may lose the swirl. Cover and freeze the ice cream. 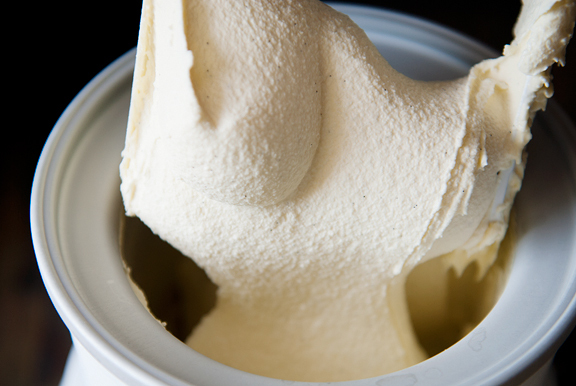 If making a non-swirl ice cream, place the churned ice cream in a container and freeze. Makes a little more than a quart. I’m not a fan of bourbon but this looks so yummy. 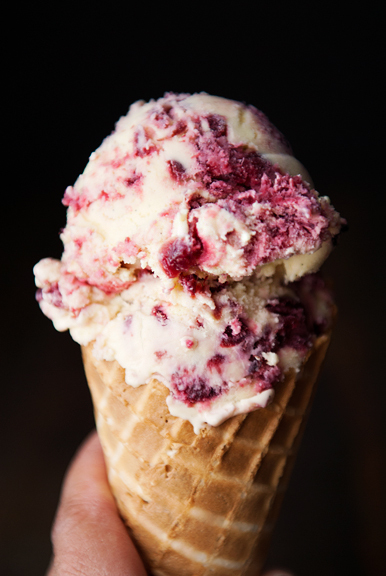 I love the mixture of of cherries and creamy ice cream. AND I’m so glad you think of Neva and cover decisions she can’t make for herself like providing her safety around the water. This ice cream looks absolutely amazing! Just a suggestion to get a Lifeproof case for your phone/ iPad etc. It is better than Otter. Have saved my electronic equipment on more than one occasion! MMM, I am looking forward to have this in the summer. -:) and I will have to work out more to enjoy this good stuff. 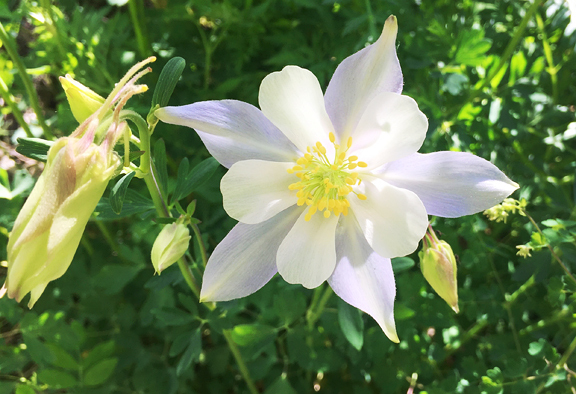 Chris – thanks for the tip! I got a YOSH case since we don’t dive or anything and it seems to be quite durable (and affordable).